Businesses keep our economy moving forward and nothing puts a halt to production and progress like a pest infestation. 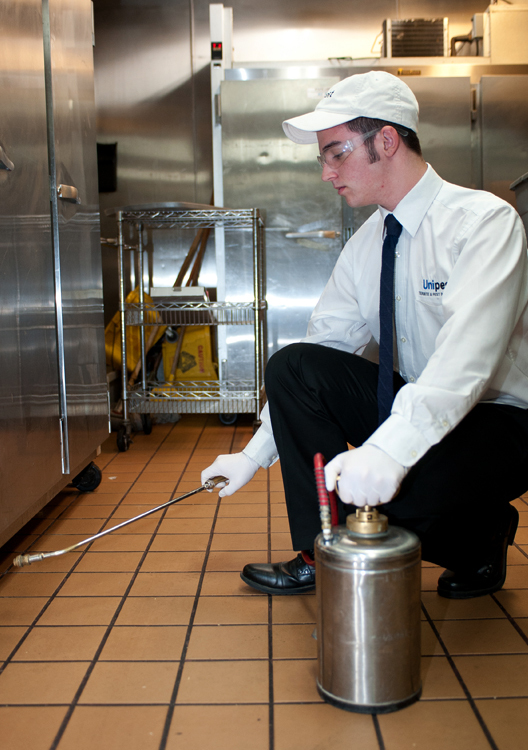 Whether it’s German cockroaches in a restaurant, filth flies in a food production facility, dry-wood termites in an apartment building, or roof rats infesting a storage warehouse, commercial pest control is a MUST for any business owner in Santa Clarita and Los Angeles County. Fortunately, Unipest Pest and Termite Control specializes in pest and termite control options you and your tenants, employees, (and accountants) can be comfortable with. With a combined experience of 50+ years, our inspectors and technicians have seen EVERYTHING and have a pest control solution ready for you. Unipest is the only certified XT-2000 Orange Oil service provider in the Santa Clarita Valley, so if you have termites in your apartment building or property management rental, call us for a free orange oil inspection today. Unipest trains and consults other companies and tehcnicians on the use of Heat to kill termites, bed bugs and cockroaches, so if you have any of these, call immediately to schedule a free commercial pest control inspection. Whether its rats in a warehouse, beehive removal in an apartment complex, or gopher removal in a county park, we have a team ready to solve your problem so call us immediately to schedule a free inspection.